I am a big peanut butter fan. I recently tried Justin's Vanilla Almond butter and loved it. But since my latest iHerb order was looking pretty pricey, I decided to just get a peanut/almond mix from the supermarket. 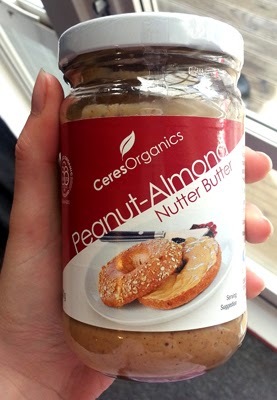 Ceres Organics is pretty much the only brand of almond butter we have at the supermarket here. I had tried their version of cashews before, since cashews are my favourite nut. But I found it was really dry and impossible to spread. But then I later tried a different brand of cashew butter and didn't like it either. I had high hopes for this one, since it's half peanut butter - and I know I like that! For my usual peanut butter I use Sanitarium no added salt/sugar. First of all, there is so much oil in this jar. Even when I stuck a knife in and stirred it round (as it says to on the jar) it is still ridiculously runny. Very hard to spread on crackers etc because it is just so oily. I'm not a big oil fan either, so not a good start. All ingredients are certified organics. 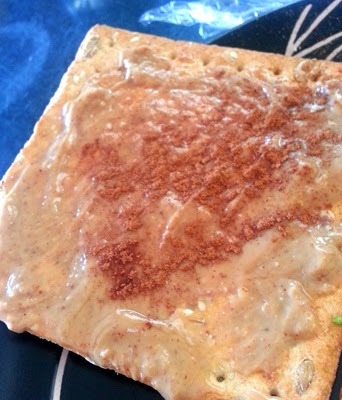 I tried it out yesterday on a vita-wheat cracker (with cinnamon, because I'm addicted). I have to say, I'm not a fan. Taste: I think because I'm used to no added salt that this tastes really salty to me. Even though there is only a tiny amount of sea salt and only 42mg per serve, I can really taste it. You can definitely taste both the peanut and the almonds in it. 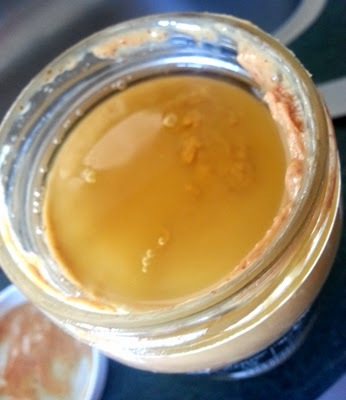 Texture: If you like oily nut butters then this will definitely be a good one for you. However it is far too runny and oily for me, as mentioned above. The oil ruins this for me. It has an alright taste, but it won't be something I will use that often and I won't be buying another jar for $10.00 (NZD). I'm better off sticking to my usual peanut butter, and paying a bit extra for Justin's almond butter. What's your favourite nut butter? Do you prefer more oily ones?